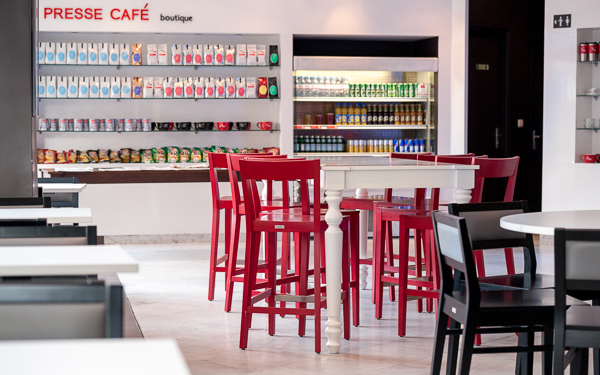 Presse Café is a franchise coffee shop that opened in Dakar just after we moved there. 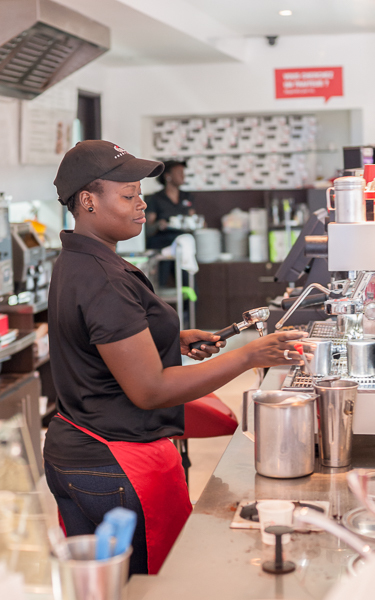 It offers delicious coffees, cakes and Canadian products. With the design of the interior and exterior, the owners had to follow strict rules when it came to the use of colours, style and furniture. 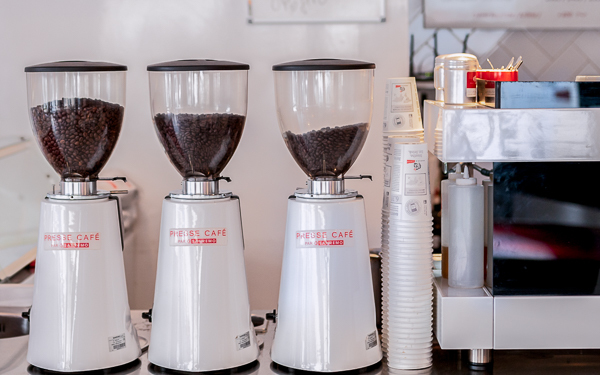 The idea is that the place breaths crispness and high quality and that people can go there to work, socialize, read the paper enjoy good food. When taking the photos it wasn't very busy and I found myself a bit distracted into taking product photos. 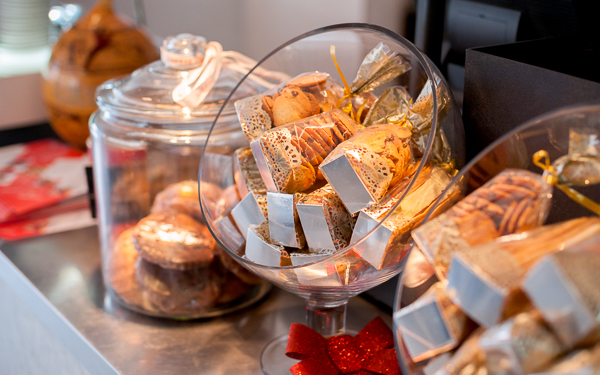 The cakes and coffees just looked too good. When it comes to effective use of the space, I think the café has done a good job. It's spacious, but not too wide that it's not a cozy place anymore. 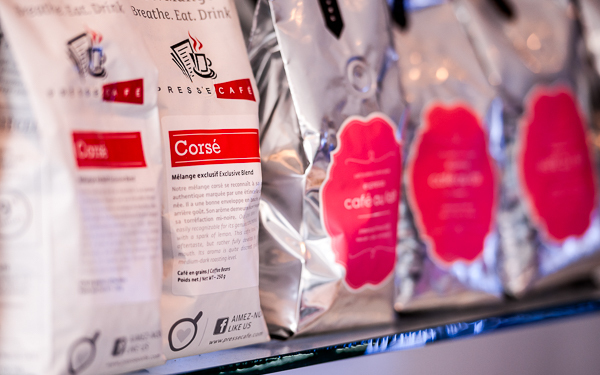 There are a lot of products and signs on the wall that help you connect with the concept and make it a 'Presse Café' experience. Below is a first selection of my images. In choosing the final selection, I kept in mind that the images really need to show the usage of the space. 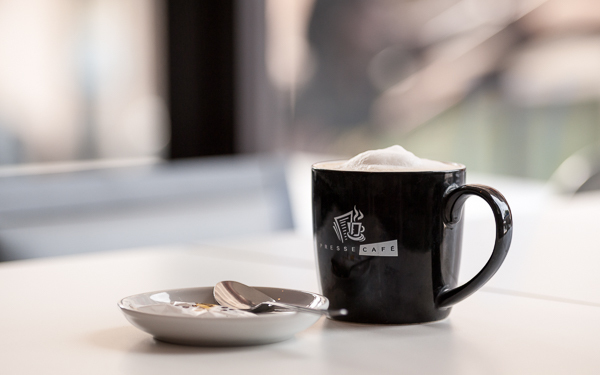 So I want to include people enjoying their coffees and a bit wider images compared to the close up product shots. 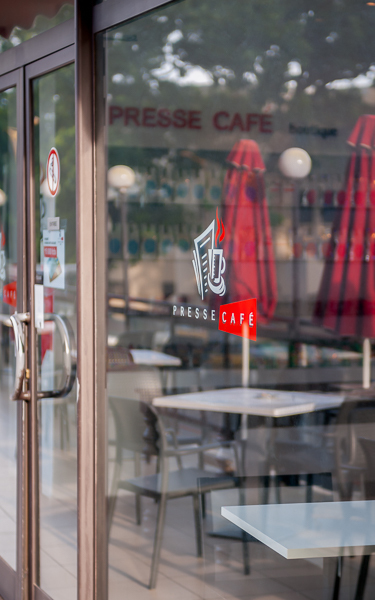 The Presse Café feel has to be present and so do the crispness and urban elements. I doubted between the exterior shot of the front of the cafe and the sign on the window. I eventually decided for the image with the sign on the window, since it's a nice blend of the interior and exterior it shows the urban scene in the reflection and the calmness of the cafe itself.